Can you really have zero guilt eating chocolate? And it’s something I spent a lot of time researching because I’m tired of giving up all the foods I love to lose weight. Don’t get me wrong – I know weight loss is a sacrifice. But can’t I have just a few chocolate squares without degrading myself in the mirror next day? That’s what SkinnyMe Chocolate offers – no guilt. Can SkinnyMe Chocolate Really Help Me Lose Weight? Yes, but think of this as a cravings-buster. You need to put in the work, and if you’re still on a terrible diet filled with junk food, SkinnyMe won’t do anything for you besides satisfy your taste buds. But, when willpower runs low and you go to grab that Snickers bar, you’re making a bad choice. When you choose SkinnyMe Chocolate, you’re reaching for chocolate that tastes a ton better, and it’s not filled with sugar or that other junk that goes right to your gut. Nope. You’re eating chocolate that is meant for dieters and people losing weight. If you’re trying to lose weight and get rid of fat, you need to ditch the sugar. Carbs and sugar are your enemy if you eat too much of them. 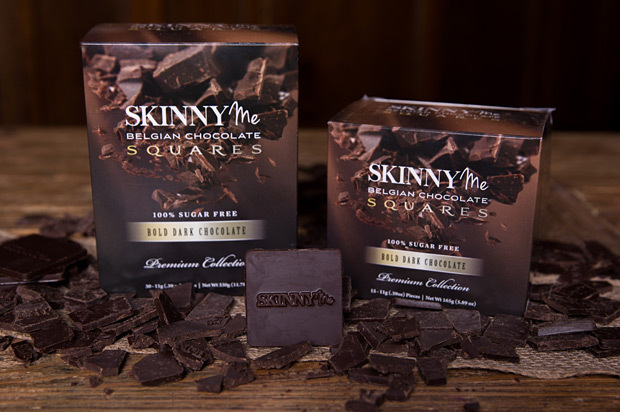 SkinnyMe chocolate is a luxury that doesn’t have all of the bad-for-you sugar. Unsweetened chocolate. This is the delicious chocolate that hasn’t been altered. This is where you’ll enjoy that creamy rich flavor. An extract to be exact. 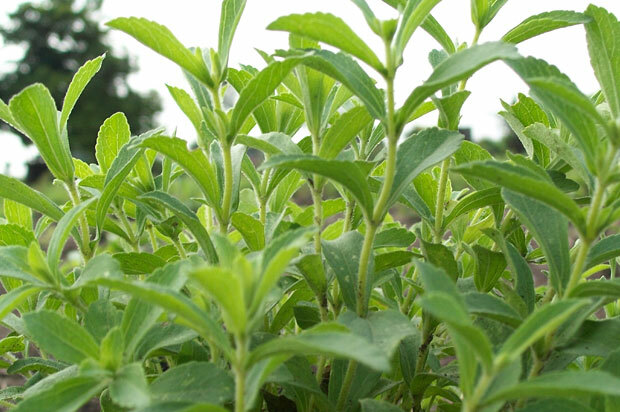 Stevia is what gives SkinnyMe chocolate its sweetness. This all-natural sweetener doesn’t turn into fat in the same way sugar does, so it’s a guilt-free way to sweeten anything you eat – including chocolate. Vanilla Extract. Another flavor enhanced that will add a nice touch to any piece of chocolate. What I do want to mention is the presence of erythritol. This ingredient is a natural sugar alcohol. This means that it’s the same sugar alcohol that you would find in grapes or pears, for example. Gentle on the stomach, this ingredient is easy to digest, too. Erythritol has a glycemic index of zero, so you never have to worry about it impacting your blood sugar levels. That’s what I love about SkinnyMe chocolate. My blood sugar is kept in check, and I am able to enjoy a super-low-calorie snack that doesn’t cause me to fall off of my diet. There are far too many promises of losing weight and getting into shape that I have broken because I needed a good snack. SkinnyMe chocolate satiates my cravings, allowing me to have control of my diet. There’s no need for me to fall off of the bandwagon again. I am able to control my diet fully without fear that I am going to go 300 calories over my diet for a small piece of chocolate. That’s the key to not just follow a diet, but also to change your lifestyle. Sustaining weight loss is all about learning how to change your lifestyle, and when you can eat chocolate, it makes it just a little easier to stay away from sugar-filled foods. Are SkinnyMe Chocolate Calories That Low? You know how you’ve been carb counting? Yeah, I have been there, too. It’s very confusing when you look at a package and realize net carbs are derived from taking total carbs, subtracting total fiber and then subtracting total sugar alcohol. But I am here to tell you that SkinnyMe Chocolate has just 0.5 – 2.5g of carbs per piece (depending on the product). When you break it down, and I encourage you to look at the company’s comparisons between them and the leading chocolate company, you’ll quickly see the caloric different. I will give you just one quick comparison so that you can see the SkinnyMe difference. Calories are based on just an 11-gram square, but every other metric is based on 30 pieces of chocolate. This means you have barely any carbs or sugar – less than 1.5 calories per square. That’s super impressive. And this is why so many people rant and rave about SkinnyMe. It’s truly the guilt-free way to stick to your diet without having to worry about consuming massive amounts of carbs or sugars in the process. Note: SkinnyMe chocolate nutrition facts vary slightly from product to product. If you read any SkinnyMe chocolate reviews, you’ll find a lot of people raving about this product. What are they saying exactly? This is pretty tasty stuff. One review stated that you can’t trick yourself into binge eating just because these chocolate squares are low in calories. I want to second this comment. The worst thing you can do is order and eat all 30 squares at once. You need to practice self-control when eating any product, even if it contains just 45 calories. But with that said, SkinnyMe chocolate is so confident that you’ll like their chocolate, they’re willing to send you a free trial supply if you just pay the shipping and handling. If you’re willing to give this product a try, I am confident that you won’t regret it. Everything is delicious, the calories are low and there’s no sugar to worry about. 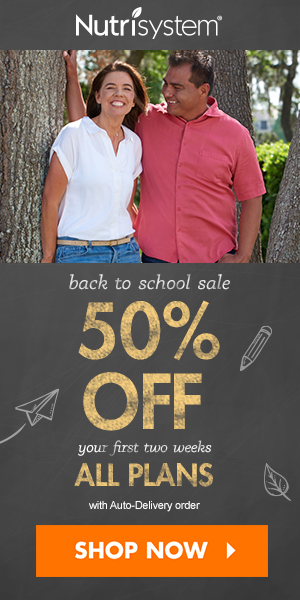 Click here to order your free trial of SkinnyMe chocolates today – the guilt-free chocolate.